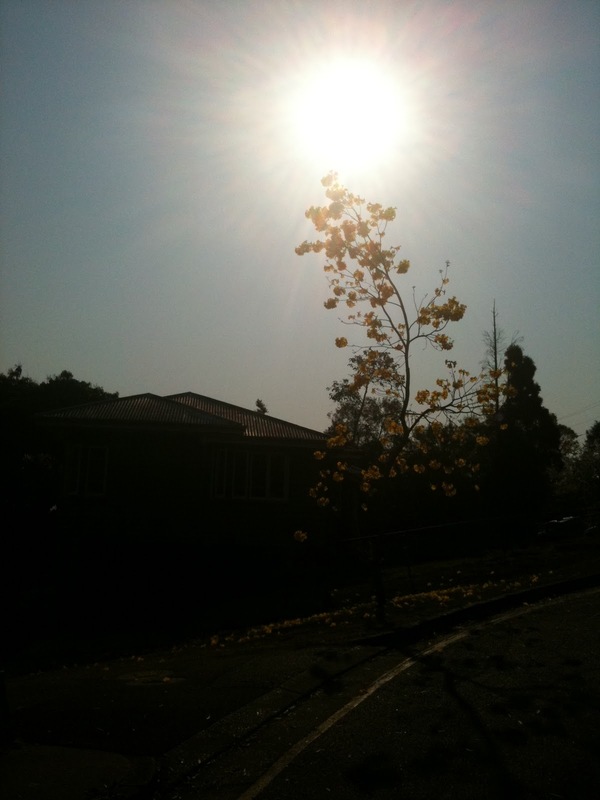 It is spring here in Australia and the weather had turned for blustery winds to mini heat wave within a week. On my drive home I see this beautiful tree highlighted by the setting sun. 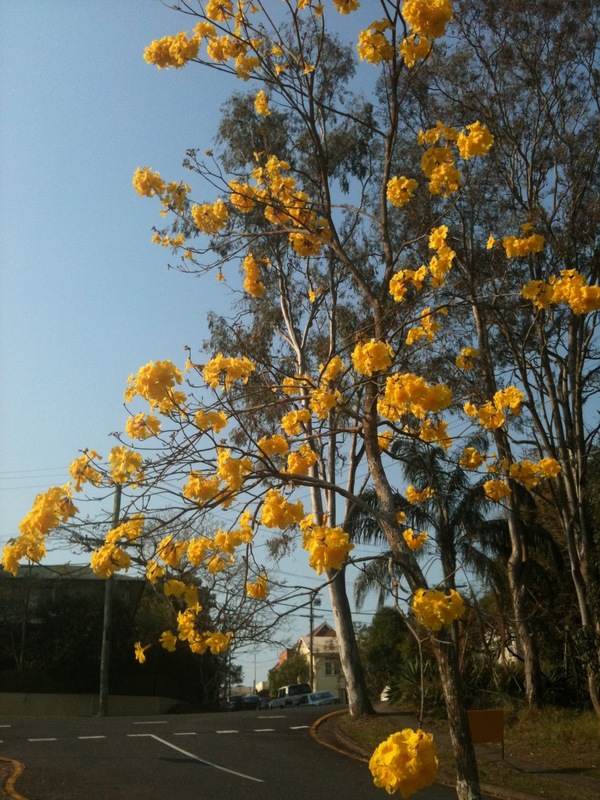 Each day I have wanted to stop and take a photo of the beautiful yellow flowers. My iphone and photography skills will not do justice to the trees beauty. Due to over 300 bush fires raging over our sunny state of Queensland, there is a permanent smog in the air. 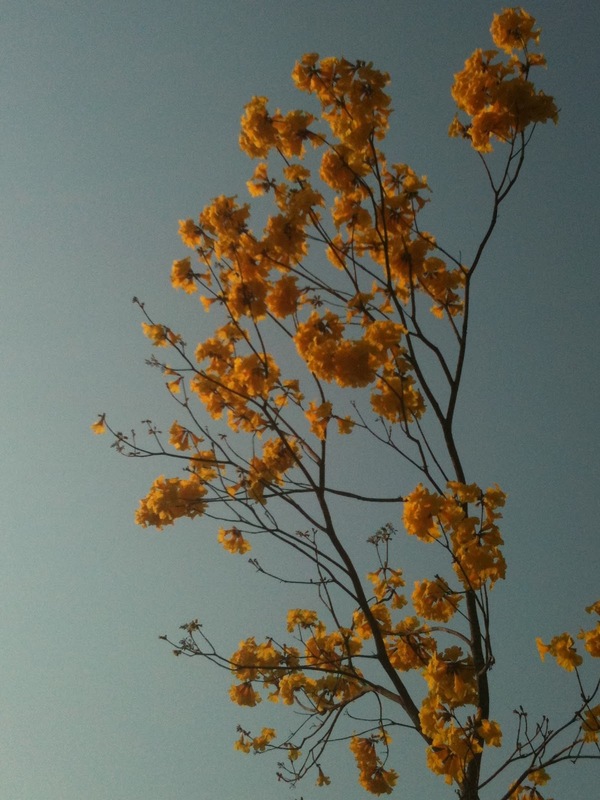 The smog has given the evening light a natural orange filter, so the flowers in the above picture look bright orange. 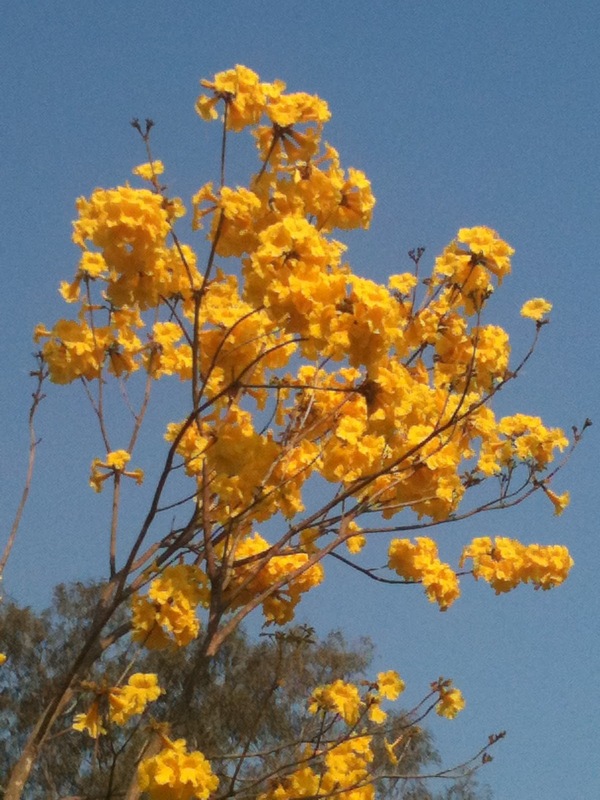 In the below picture the flowers look more like there true bright yellow color. 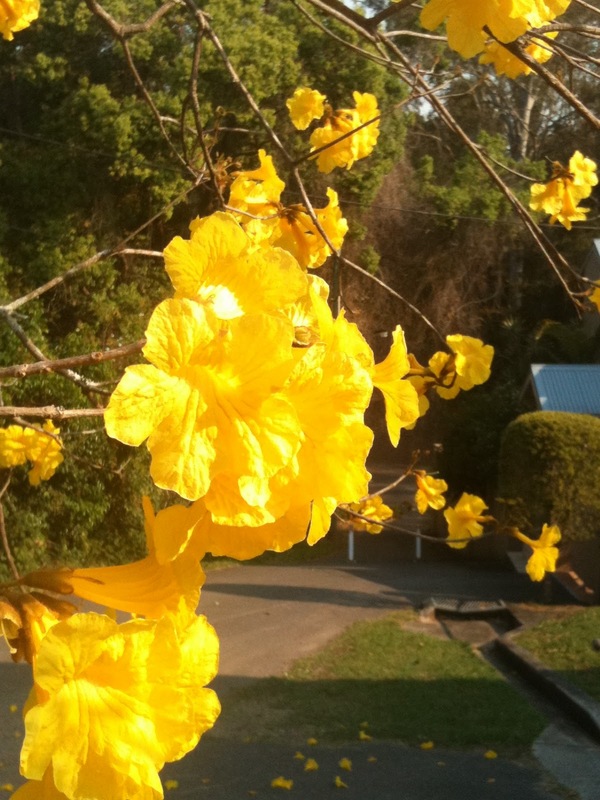 I am so happy that I took the time to stop and photograph these flowers and I don’t care that it was using my iphone. 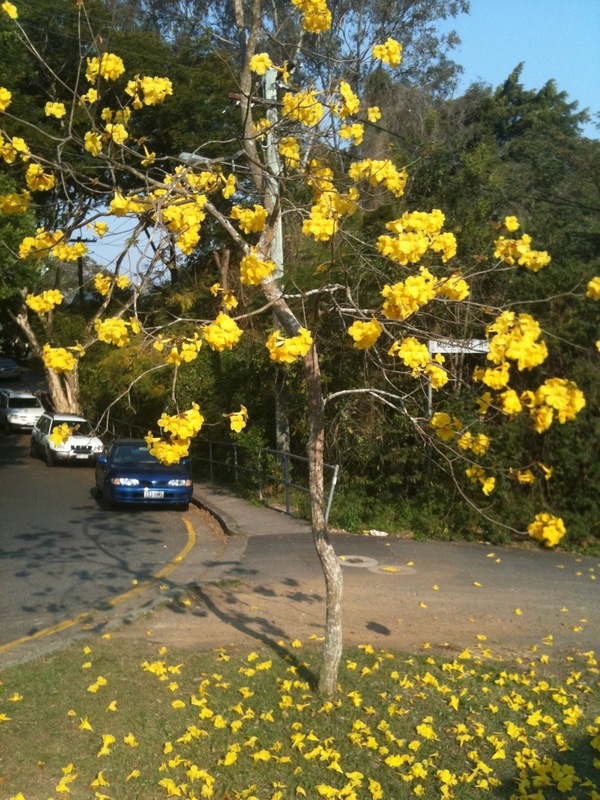 The feeling of looking at these beautiful flowers and there golden glow will stay with me for a long time. No one else noticed the 5 minutes unaccountanted for in my day. All the car’s passing me by while I stood on the corner and taking photos from every angle where saying to themselves, “I should do that too one day”. One last picture with the orange glow from the setting sun. A friend once told me that if you see a something that you want to photograph stop and do it straight away, don’t wait for the opportunity to present itself again because it wont. Life it a lot like that, you must take the opportunities that present themselves because the chances of you been given a second chance is slim. Thanks for stopping by and I hope that you will not allow another opportunity to slip by.